Fancy a new hoodie? So do we! Check out http://4orm.ie/nmci/ for all the latest NMCI merchandise, perfect for Winter 2018! 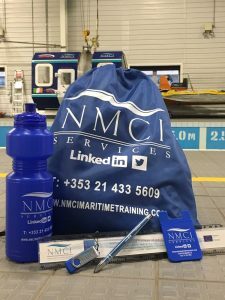 Anyone who makes a purchase from the NMCI range during the month of November will be in with a chance to win the hugely popular NMCI Services Goodie Bag! This month’s goodie bag includes an NMCI hoodie, beanie hat, reusable travel coffee cup and water bottle along with some more NMCIS treats! There’s a huge range of items to choose from on 4orm.ie. Check out our fashionable Helly Hansen coats, casual polo shirts and snug jumpers. Feeling sociable? Why not tweet us @NMCIServices to show off your new purchase… We love seeing your pictures! Our February feature shines the spotlight on Darragh Keane, a recent Seafarers Safety Course delegate with SEFtec NMCI Offshore (SNO). We talk to Darragh and ask why he chose to apply for the course and see how things have changed for him since. With a background in mechanics Darragh Keane was looking for a new career, potentially one that involved travel and a new lifestyle. While on a ships visit to see his brother, a 2nd engineer with P&O Cruises, Darragh was inspired that this could be just the career he was looking for. Getting an understanding of how the ship operated from deck to engine, the crew’s roles and responsibilities Darragh decided to investigate how he too could work at sea. Originally thinking he might have to go back to college for four years, Darragh spoke to friends who work at sea and with various recruiters to see what his alternative options were. He was advised to go and complete his basic STCW suite of courses as a first step. 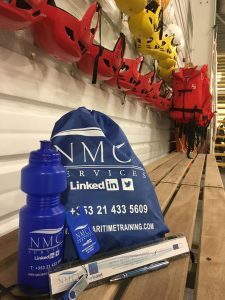 A friend told him that SEFtec NMCI Offshore were running a Seafarers Safety Course with Cork Education Training Board (CETB) at the NMCI. This nine week course would include the STCW short courses that Darragh was required to have completed in advance of working at sea. It would also provide additional skills and certification that could enhance his chances of employment. He applied, was interviewed for and successfully earned one of the twelve places on the course. 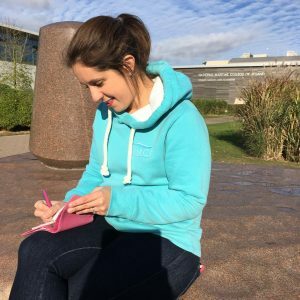 “I really enjoyed the course, in particular the physical elements such as being in the sea survival pool for the Personal Survival Techniques course”. What came as a surprise to Darragh was how much he enjoyed the Navigation training, “This was something I had thought in advance that I really wouldn’t like, so I was surprised how much I enjoyed this element of the course. My friends who are working at sea were really impressed with the quality and variety of the training we did during the nine weeks”. After successfully completing the course Darragh applied for a job he saw on YachtSpot, which was advertised by Fast Stream. He was soon put forward for an interview for a position on-board a yacht as a junior deckhand. The job turned out to be on one of the longest and most expensive yachts in the world – worth an estimated $1.2 billion the vessel can play host to 30+ guests and has a compliment of 92 crew members. Thrilled with this opportunity Darragh set about getting his visa, and very quickly received a 10 year B1/B2 visa for the USA. With his flights and transport taken care of by his new employers, Darragh sets off to the Caribbean to begin his new job this February. 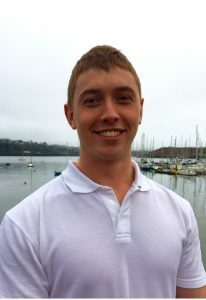 If he could offer advice to anyone else looking to work in the Maritime/Superyacht industry Darragh recommends spending time on their CV to ensure it is structured correctly and stands out. As CV preparation was part of his Seafarers Safety Course, Darragh just had to ensure he attached a good photograph to accompany his CV (choosing the photo was a harder task than he thought!). Coming across as personable in his interviews was also important to ensure his employers would know he would be both professional and a team player on board the yacht. As he prepares to set off on his new adventure Darragh comments that with a bit of luck he has had as close to a perfect start to his new career than he could have possibly hoped for. All the team at SEFtec NMCI Offshore wish Darragh the very best of luck in his new career! January Special Offer – FREE updated CPSC course! Beat the January blues with this great special offer! 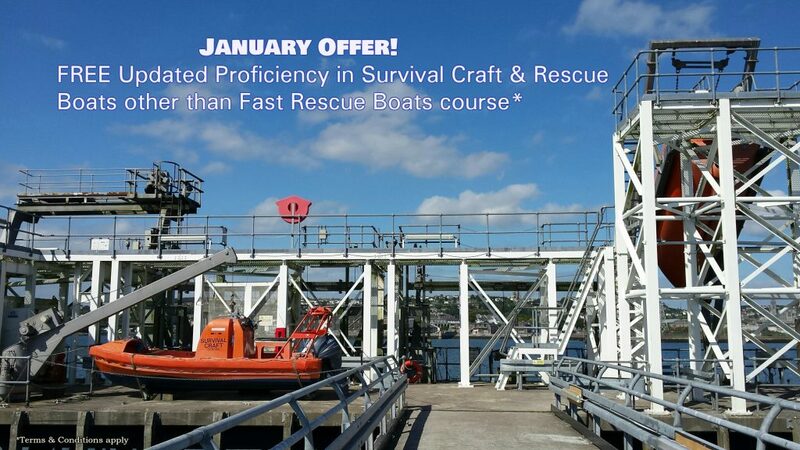 Book a short or long route Updated Proficiency in Fire Prevention & Firefighting and Updated Proficiency in Personal Survival Techniques course and get a FREE Updated Proficiency in Survival Craft & Rescue Boats other than Fast Rescue Boats course. But don’t delay! This Three for Two offer is only open to bookings made from January 10th to 31st 2018. Book both the FPFF and PST refresher courses online and call us to avail of the FREE updated CPSC course, or call our team who will book all three courses for you over the phone. Call +353 21 433 5609 to learn more. All three courses must be booked for the one person. Any name change must apply to all three bookings. Offer open to both individuals and company bookings. Offer not valid for bookings made before January 10th 2018 or after January 31st 2018. After a lovely Christmas break we have opened our college door on the 2nd of January. We had a great group of UCC students attending a bespoke Personal Survival Techniques Course and GMDSS-SRC course. It was also fantastic to be welcomed by a lovely testimonial from the HSE group that attended a bespoke HUET & PST course in December. “The National Ambulance Services’ Marine Response Team recently completed the HUET module in the National Maritime College of Ireland campus. All team members mentioned the professionalism of the instructors in both the theory and practical elements of the course. We are looking forward to seeing everyone back next week and welcoming many more delegates & students on our courses in 2018!